This Adapter Plate is for ESP07 ESP08 ESP12, a test board with IO lead out. 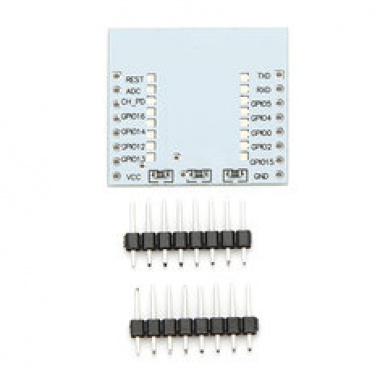 You will need to solder 3V regulator by yourself. ESP07, ESP08, ESP12 module boards are not included.